Barbara Ann Forbes, 82, of Sturgeon Bay, passed away on Sunday morning, Jan. 13, 2019. She was born May 24, 1936, in Sturgeon Bay to Martin and Ella (Schultz) Kust. In 1954, she graduated from Sturgeon Bay High School as salutatorian. After graduation, she worked for several years at the Door County Court House. On February 10, 1962, she married Harold R. Forbes at St. Peter’s Lutheran Church. Together they raised three sons. As a young mom, Barb kept very busy raising her three boys and attending all their activities. In addition to the full-time task of mothering, she also volunteered as a Vacation Bible School teacher, served as a den mother for cub scouts, and helped to run the concession stand at the little league fields. She always tried to make every birthday and holiday a memorable occasion for her boys. When her children were older, Barb took a position in the office at the Northeastern Wisconsin Technical College. She was an extremely dedicated employee who took great pride in her work and often finished work projects on her own time after business hours. For many years, Barbara also covered the phone line for the family business before the days of professional answering services. In her younger days, Barbara was an active member of the Fond du Lac Jaycettes and the Sturgeon Bay Jaycettes. She also enjoyed bowling in several leagues and tournaments. 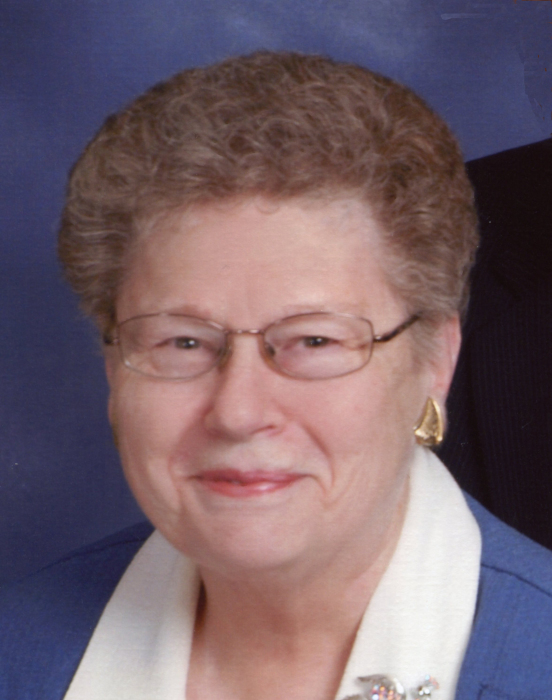 As a lifelong and faithful member of St. Peter’s Lutheran Church, she served in numerous capacities over the years including teaching VBS, helping with church publications, serving funeral luncheons with the Ladies Aid Group, and serving on several other ministerial committees. After she retired, Barb also did volunteer work for the Door County Medical Center Auxiliary. Barbara loved attending musicals, concerts, and plays. She and Harold were able to take several bus trips in their retirement to various destinations. Barb was a very thoughtful and generous person. She spent a good portion of every year gift shopping for her grandchildren and her great nieces and nephews. She always managed to find that perfect gift. Lately, Barb enjoyed going out to dinner with their “First Friday Group” and attending all her grandchildren’s extra-curricular events. As her health began to decline, she simply enjoyed watching old movies and the Hallmark channel on television, visiting with her family and their dogs, and making her twice weekly trip to the hair salon. Survivors include her husband Harold, 3 sons, Eric (Elizabeth) Forbes of Appleton, Mark (Jill) Forbes of Sturgeon Bay, and Tim (Lacie) Forbes of Sturgeon Bay; 7 grandchildren: Jordan (Caitlyn) Forbes, Bryan, Brett, and Levi Forbes, all of Appleton, Jenna (fiancé, Landon Fisher) Forbes of De Pere, Brandon Forbes of Sturgeon Bay, and Parker Forbes of Sturgeon Bay; sister-in-law, Helen Knutson of Tomah; nieces and nephews. She was preceded in death by her parents, Martin and Ella Kust; brother, Edward Kust; sister and brother-in-law, Marion and Jim Tramontin; brother-in-law, Harold Knutson; and her father and mother-in-law, Harry and Fryda Forbes. Funeral services will be 11:00 a.m. Saturday, January 19, 2019, at St. Peter’s Lutheran Church in Sturgeon Bay with the Rev. Joel Sauer officiating. Burial will be in Hainesville Cemetery. Friends may call at the Forbes Funeral Home on Friday from 3:00 – 7:00 p.m. and at the church on Saturday from 10:00 a.m. until the time of service. Special thanks to the staff at Sturgeon Bay Health Services (Dorchester) for the very loving care given to Barbara.